The Syrian conflict has torn the country apart, leaving thousands dead and driving millions to flee their homes. Many seek refuge in neighbouring countries but others pay traffickers to take them to Europe - risking death, capture and deportation. 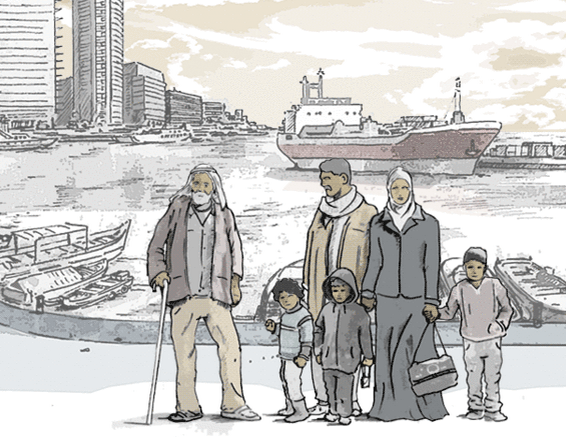 If you were fleeing Syria for Europe, what choices would you make for you and your family? Take our journey to understand the real dilemmas the migrants face. You can 'play' through the interactive, and also see some images of the objects that people chose to take with them on their journey. How does the choice of 'Male' or 'Female' affect your journey?